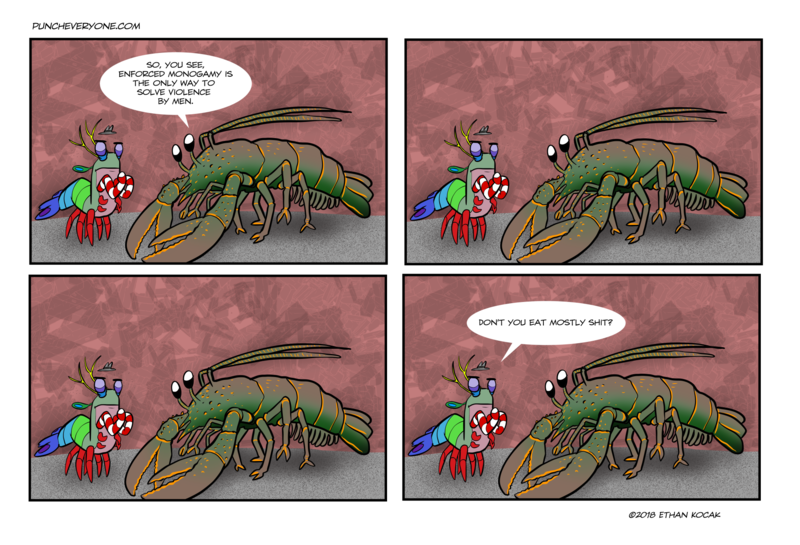 (Turd Lobster): Promptly eats Punchy. Oh good, you’re back Ted. I was starting to worry you’d devoted yourself to wanking off to pictures of Bea Arthur full time.